This B&H Kit features two HS110 Wi-Fi Smart Plugs with Energy Monitoring from TP-Link. The plugs enable you to remotely control devices connected to them from anywhere with internet access via the free Kasa mobile app. They feature built-in 2.4 GHz Wi-Fi connectivity, scheduled usage, away mode, energy monitoring, and compatibility with iOS, Android, Amazon Alexa, and Google Assistant. 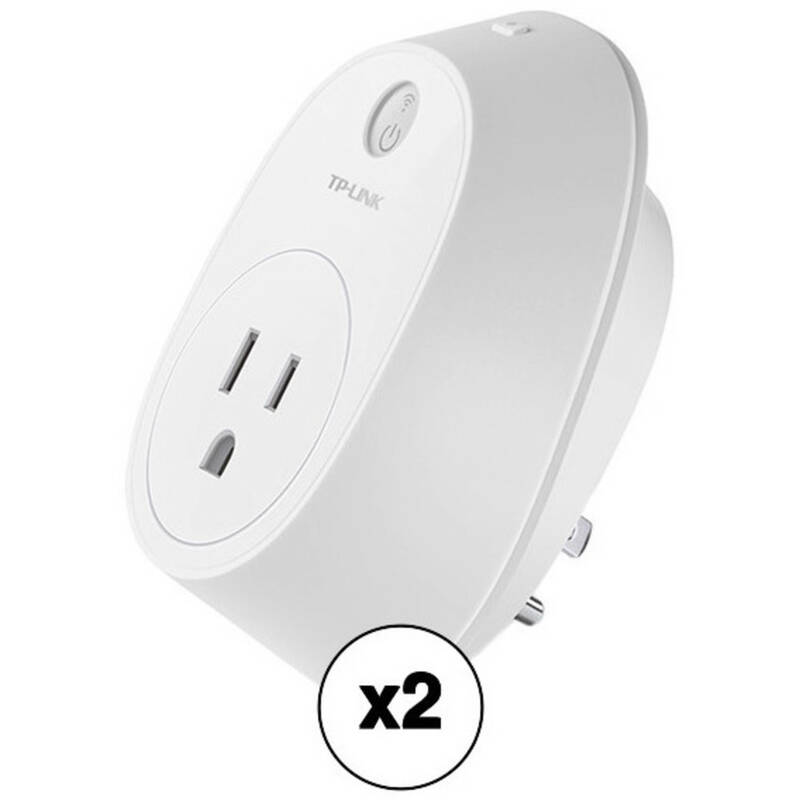 HS110 Wi-Fi Smart Plug with Energy Monitoring (2-Pack) is rated 3.0 out of 5 by 3. Rated 2 out of 5 by John from Hogs the outlet, loses connection, but nice when it works Main reason for lower rating is its size - even when plugged into the top spot of a duplex outlet, it covers both outlets unless you use a very small plug (very low wattage/small gauge wire). Any normal size plug is blocked. And it too often loses its network connection, and while sometimes unplugging and plugging it back in resets the device, other times it requires a new-install start over. But when it is working, love it - does everything as advertised! Rated 5 out of 5 by Yuri from Super reliable and capable smart plug I see the [only] two other reviews have noted connection problem, and while it may very well be so, I have to say the plugs themselves are super reliable and responsive. After two month of daily use I have zero connectivity issues. But like with any WiFi devices a lot depends on the network router, wireless access point, and ISP. Mine is a well tuned network, so two dozen WiFi devices work like a clock. Now I take two issues with the plugs: (1) at times the plug that has my tea kettle hoes berserk and shows megawatts (yes, mega- not kilo- !) of power consumption all of a sudden, none of the other plugs do that, (2) Kasa app is awesome, super lean and reliable, but requires your phone physical location permission to initially set up a new plug (why?) and does not show power consumption trend beyond totals for past 7-days and past 30-days. Rated 2 out of 5 by Thuan from Keep losing connection Keep losing connection with Alexa. The Kasa app works, but I need to be controlled by Alexa voice command. Can the Smart plug also Control your devices by voice with the Google Mini like it can with the Amazon Echo? Can I plug a surge protector into the TP-Link then plug multiple devices into the surge protector and control them the same way? Cannot imagine how it would know or care whether a direct device or a power strip was plugged into it. But you must consider the total current draw of devices plugged into that power strip in order to not overload the HS110.